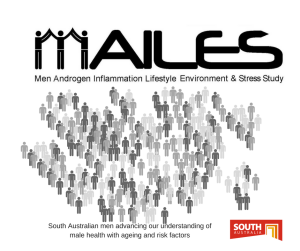 The Centre congratulates members Professor Robert Adams, Dr Sarah Appleton and Co-Investigators on being awarded funding from the Hospital Research Foundation to undertake a repeat in-home sleep study of nearly 1000 South Australian men from the MAILES cohort who previously underwent in in-home testing in 2012. This will be one of only two studies internationally where such a follow-up study has been undertaken. The research will build on our important contributions to date on our understand of how obstructive sleep apnoea (OSA) develops and progresses over time. In particular the study team will determine the long term physical and mental health impacts of OSA in men who we were identified as having OSA in their initial study, taking into consideration the treatment that they sought for their symptoms. The ultimate goal is to develop better screening in general practice, and treatment approaches to reduce the impacts. If undiagnosed, OSA affects people’s heart health and may lead to strokes and premature death. It is important therefore to better identify people at risk and prevent these dramatic health outcomes. However, OSA is one of several sleep disorders including insomnia that are underestimated in terms of the numbers of people affected and their impacts on people’s health. Sleep disorders often co-exist which compounds their problems on health. Also sleep disorders have high community costs. The direct and indirect costs of sleep problems to the government and patients have been recently estimated at $64 billion annually. Everybody needs to sleep so our aims are to increase recognition of the importance of achieving good quality sleep generally across the population so that people can live their healthiest life possible. This entry was posted in News, Research and tagged grants, heart disease, Hospital Research Foundation, men's health, OSA, sleep. Bookmark the permalink.